A jilted lover who wrote a book of lies about his former girlfriend, then distributed it to her co-workers and family, owes her $52,000 for defamation, a jury decided. 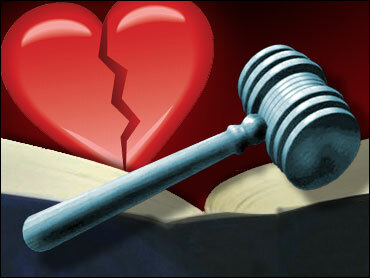 Charles W. Azain, 56, said he was despondent over his 2004 breakup with Bonnie Gifford. He wrote a 54-page manuscript called "The Bonnie Chronicles," where he falsely said she had HIV and bipolar disorder. "You could call it 'temporary insanity,' I guess," Azain told the jurors. The panel took 30 minutes to find Azain liable for defamation of character in the civil case. Edward Andre Richitelli, Gifford's lawyer, said Azain sent copies of the manuscript to Rising Sun Middle School, where Gifford, 52, taught sixth grade, to the Cecil County Public Schools' administrative office, to Gifford's mother and to her adult children. Richitelli produced medical test results showing neither Gifford nor Azain has HIV. The bipolar claim was unsupported. The jury Monday awarded Gifford $50,000 in punitive damages and $2,000 in compensatory damages.